KUALA LUMPUR: MCA must make its position known publicly on whether it is for Barisan Nasional (BN) or otherwise. BN secretary-general Datuk Seri Nazri Aziz said if MCA wanted to opt out of the coalition then the 70-year-old party should be open about it. Citing parties such as Upko, PRS, Gerakan, PBRS and PPP, he said MCA too should make its position clearly on whether they want to continue being in the BN family, as their action thus far seemed to be so. 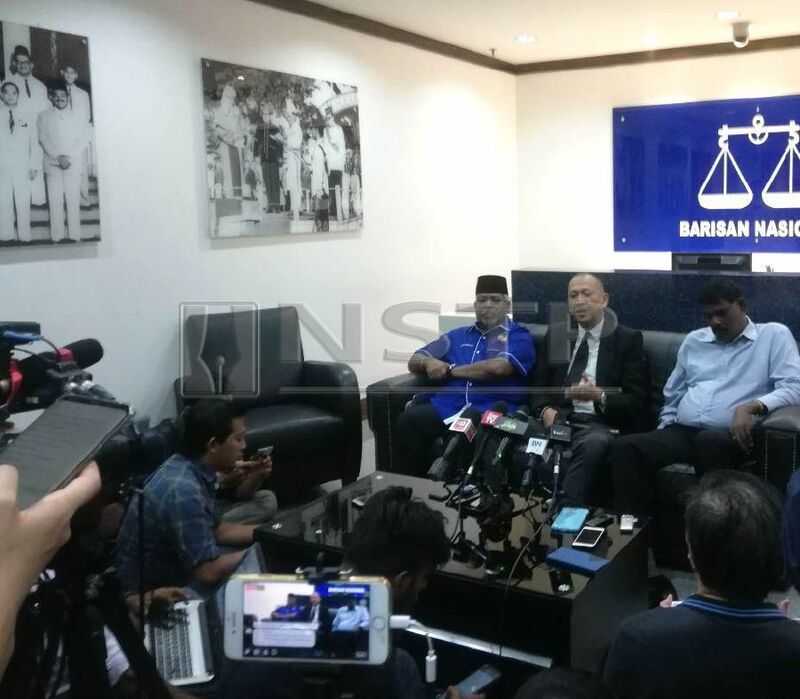 "As the BN sec-gen, even I am unaware of the ties which MCA has with the rest of the BN component members at this moment, since the 14th General Election (GE14)," said Nazri in a press conference here, today. The Padang Rengas Member of Parliament said he was unsure of the current status of the MCA which is a founding member of BN. "I really don't know what’s their stand now, are they still part of Barisan Nasional or what's their status now... They refuse to wear the party uniform or carry the BN name where ever they go. "They also seem to be more happy going by as MCA rather than BN and they do not want to wear the (BN) signature blue during campaigning too," Nazri lamented. This was unlike the MIC, who made their position known in that they are still with the BN. "It's best that they come out in the open, themselves", said Nazri.